At the northern tip of the Cape is an 800 year old Pohutukawa tree, which according to Maori oral history, is the place where spirits of deceased Maori leap into the ocean to return to their ancestral homeland of Hawaiki. The lighthouse along with the famous world signpost and the spectacular views offer visitors excellent photo opportunities. 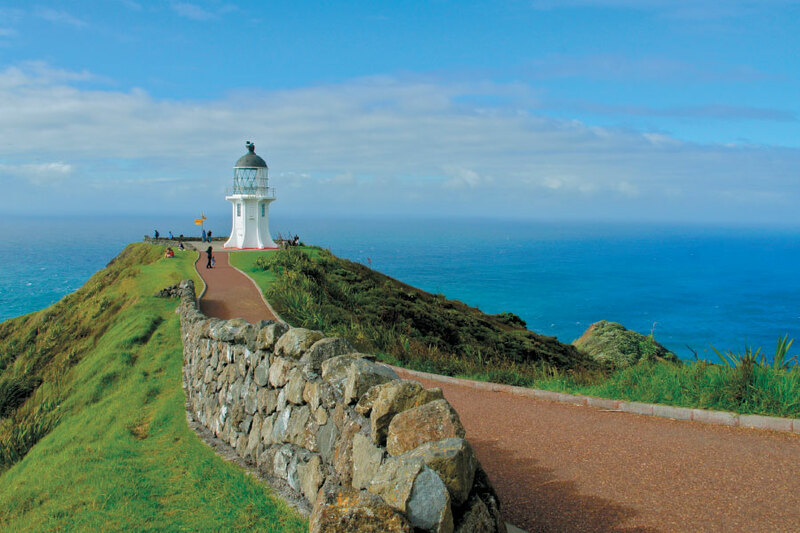 As Cape Reinga is a sacred site, eating is not permitted, but if you’re looking for a place to stop on the way, head to Waitiki Landing which is 50 minutes before the Cape.